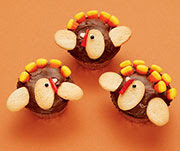 -Preheat oven to 375 degrees and line two baking sheets with parchment. -In medium bowl combine flour, baking soda, salt, and whisk; set aside. -In bowl of stand mixer, combine butter and sugars and beat until light and fluffy, about 3 minutes. -Add yolk and beat until fully incorporated. -Add zest and vanilla and beat until fully incorporated. -Turn mixer to low speed and beat until just incorporated. -Remove bowl from mixer, stir in cranberries, and place 1 Tbsp rounds of dough onto cookie sheets. -Remove from oven and let cool on pans completely, about 10-15 minutes. Then enjoy with a glass of milk ~~ or in my case soy milk. Because after all, they are his fav's!!! Oh my stars, these babies are sooooooo good!! You must give 'em a try . . . go on try 'em . . . you'll like 'em . . . delish!!! Chip and Salsa Soup ~~~~~~~ FAV OF OURS!!! Oh how we love this soup!!! What makes it so yummmy you might ask? Well it's the accoutrements people ~~ oh yes yummmy accoutrement's!! Sautee onions in a little vegetable oil (about 2 tsp) until soft, about 5 minutes. Then add the broth, beans, salsa, corn, and chilies in a medium saucepan. Cook over low heat for 10 minutes to blend flavors. Crunch a few chips into each of 4 bowls. Ladle the soup over them and top with cheese. Serve with more chips as dippers ~~ YUM!! This is a delicious soup. We actually enjoy this soup year round, but it is especially delicious on a crisp fall Saturday afternoon curled up on the couch watching football!! Be still my soup lovin' heart :0) Enjoy!! This salad is absolutely delious!! 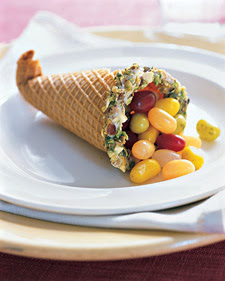 So do yourself a flavor (I've always wanted to say that ~~ yep I know very corny :0) and try this one out. In a large salad bowl, combine the first seven ingredients. In a small saucepan, combine lemon juice, olive oil, honey, salt and pepper. Cook and stir until blended and heated through. Let cool for a few minutes. Pour about half over salad (or to your liking) and sprinkle with feta cheese. Note: To toast pecans. Heat oven to 350 degrees and put pecans on a baking sheet. (I use whole pecans and the entire package of pecans, then I chop what I need and store the rest in a glass container with lid.) Bake for 10 mins being careful to check periodically, to be sure they don't burn. This is a lovely salad as well as really good and flavorful. It is wonderful served along side the Hashbrown Quiche and Cherry Limeade Punch. Enjoy!! Okay, wait come back ~~ don't leave ~~ Did you note the "Easy" in the title? !!! I really is easy and quick. I made this for supper in about 30 minutes; delightful!! Cook noodles according to package, directions. Meanwhile, cook the beef, mushrooms, onion and garlic over meduim heat until meat is no longer pink; drain. Remove and keep warm. In the same pan, melt butter. Stir in flour until smooth; gradually add broth and tomato paste. Bring to a boil; cook and stir for 2 minutes or until thickened. Carefully return beef mixture to the pan. Add sour cream, salt and pepper; cook and stir until heated through, but do not boil. drain noodles; serve with beef mixture. Note: My guys do not like sour cream so I leave it out and just add it to mine indivually and it is still GREAT!! They love their non-sour cream version and I love mine bring on the sour cream version. I have found that there are certainly different likes and dislikes within our tight-knit fam, and we have found a way to make them mix ~~ it's super!! Well tonight I made what we actually had for lunch today for Bible Study. It was sooooo good I thought hubby would enjoy it ~~ and he did!! Preheat oven to 425 degrees. Press hash browns into quiche pan. Blot with paper towel to remove all moisture. Brush with melted butter. Bake 25 minutes. Remove from oven. Reduce oven to 350 degrees. Combine eggs, half and half, and salt. Mix the cheeses, ham, and the diced shallot and place mixture in hash brown shell. Pour egg mixture over top. Bake 40 to 50 minutes. Garnish with parsley. This was the recipe that Melissa Moore-Fitzpatrick posted for our NOG's Bible Study Tuesday. It was delicious!! Well here we have a lovely, summer dessert. Easy and fun to make. Because let's face it, delicious food gets a boost when it's also fun and easy right? Okay just work with me here; I like for cooking to be a fun experience. Since we do it every day, I believe in making beautiful delicious food!!!!!!!! In a small bowl, cream butter and 2 tablespoons sugar. Gradually add flour and mix well. Press in to the bottom of a 13" X 9" baking dish coated with cooking spray. Bake at 350 for 12-14 minutes. Cool on a wire rack. In a large bowl, beat cream cheese and confectioners' sugar until smooth. Fold in whipped topping; spread mixture over crust. Refrigerate for 20 minutes. In a large saucepan, combine cornstarch and water until smooth. Stir in blueberries and remaining sugar. Bring to a boil; cook and stir for 2 minutes or until thickened. Cool to room temperature. Soon topping over cream cheese layer. Cover and refrigerate for at least 4 hours. Cut into squares and enjoy with a warm cup of coffee and a good friend. The best!!! Enjoy dear ones!!!!!! Freeze those Herbs ~~ Go on You can do it!! My herb beds are abundant with fresh herbs: thyme, 3 different kinds, basil and lots and lots of mint. It is a veritable smorgasbord of herbs ~~ YUMMIE!! So with all these herbs you must know how to preserve right? So thought I'd give you an easy solution for freezing your fresh hard herbs, like thyme and rosemary. First cut them out of your gardens. Be sure to cut in the morning (preferably) or the evening when it is the coolest. (Cutting in the heat of the day really taxes your plants. Poor Plants :( so cut early or late)!! Then bring them in and wash in a salad spinner. If you have 3 different kinds of Thyme like me, be sure and wash each kind individually as their flavors will mix if you store together. After you wash and dry, then lay on paper toweling to finish drying. They must be completely dry before freezing. Look at these bad boys drying out on the 'ole paper toweling!!! After they are completely dry then store them in marked ziplock freezer bags in the freezer for at least a week. At the end of the week, take a rolling pin and roll over the top of the bags and the leaves of the stems will fall off in the bag. Discard the stems and store the herbs in marked Mason jars in the freezer. They are delicious and how great to have this for your winter soups and stews!! So what about you? Do you have a great tip to storing the summer abundance of herbs? If so I'd love to hear it. Leave me a comment or drop me an e-mail. I just love learning new stuff!! So stay tuned for that . . . . . . . .
And We're Off to a GREAT Start with . . . YUMMY Berries!!! Well, I've been trying to decide just how to post the yumminess that is FOOD!! And decided to start with summer fair; since, after all, we are in the height of all the flavors and fun of summer. 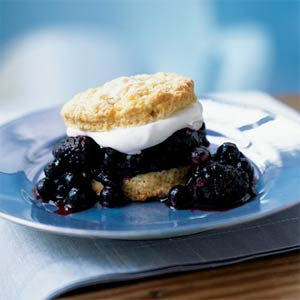 So we will start with one of our favorite summer berry recipes. To prepare shortcakes, lightly spoon flour into dry measuring cups; level with a knife. Combine flour and next 5 ingredients (through salt) in a large bowl, stirring with a whisk. Cut in chilled butter with a pastry blender or 2 knives until the mixture resembles coarse meal. Add buttermilk; stir just until moist. If making wheat version, be sure not to over mix as dough will be tough. Turn dough out onto a lightly floured surface; knead lightly 4 times. Pat dough to a 1/2-inch thickness; cut with a 3-inch biscuit cutter to form 8 dough rounds. Place dough rounds 2 inches apart on a baking sheet coated with cooking spray. Combine water and egg white, stirring with a whisk; brush over dough rounds. Sprinkle evenly with 2 teaspoons sugar. Bake at 400° for 13 minutes or until golden. Remove from oven, and cool on a wire rack. 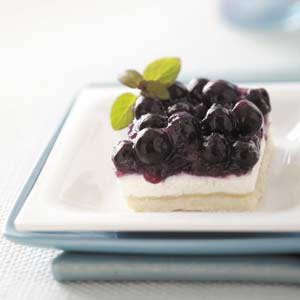 To prepare filling, combine 1 cup blueberries, 1/2 cup sugar, juice, and cornstarch in a small saucepan. Bring to a boil; reduce heat, and simmer 5 minutes or until slightly thick. Place in a large bowl; add remaining 2 cups blueberries and blackberries, stirring to coat. Cover and chill. Note: If you are short on time you can make the shortcake recipe on the Bisquick box (I use reduced-fat variety). It is also a delicious recipe. Enjoy! !